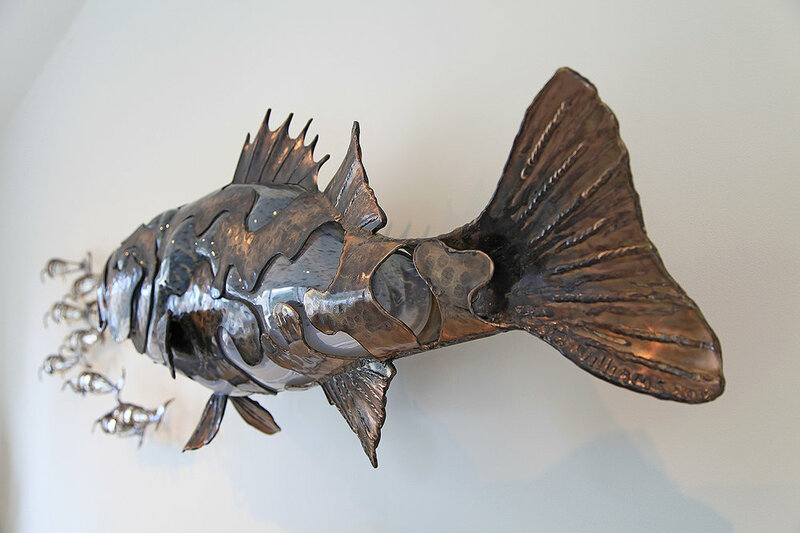 This wall mounted sea bass is a trophy for any fisherman. This sculpture can be a focal point in a study or a key element as part of an outdoor patio serving area. 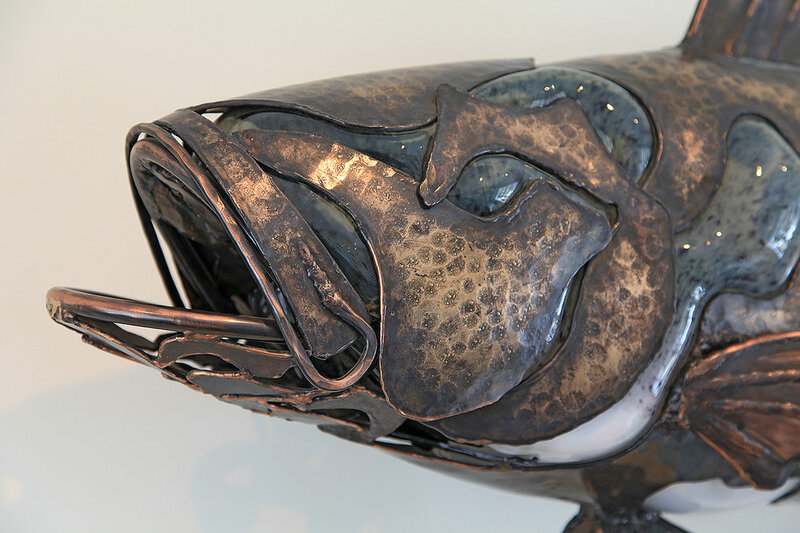 The fluidity of the glass lends itself to the motion of this fish. 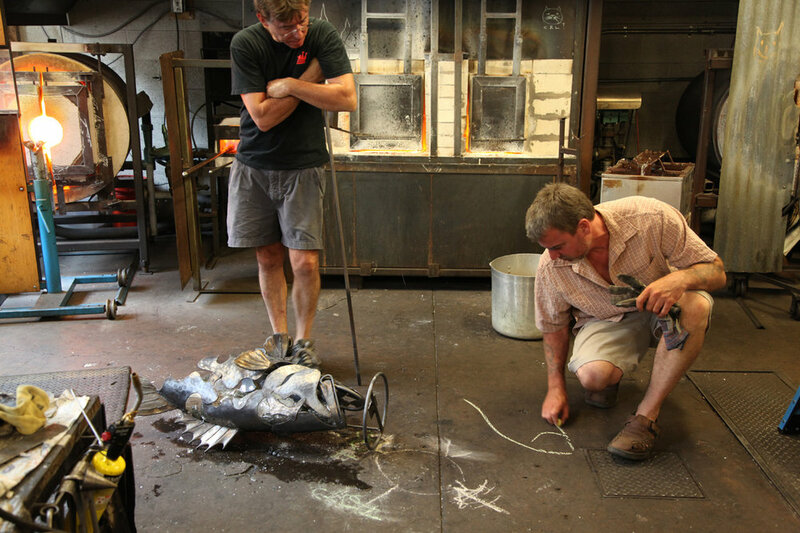 First the fish is created and then the glass is blown inside. It’s an amazing process with varying outcomes. It took a team of five workers to pull this big piece together. 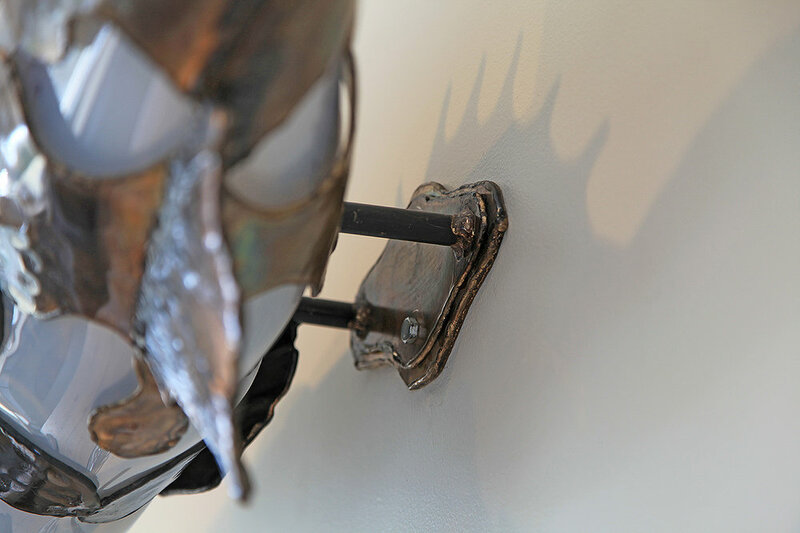 We’re always exploring metal and glass, pushing to do more, reaching for new ideas and making them possible.